I would definitely like a skinny 300 BO SS 5" barrel threaded 5/8 x 24 with no gas hole from the custom shop. Last edited by strobro32; 02-04-2019 at 03:58 PM. 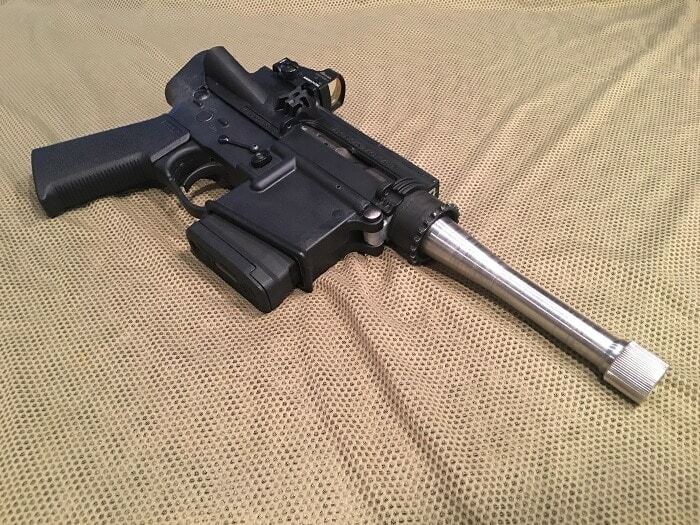 I would definitely like a skinny SS 5" barrel threaded 5/8 x 24 with no gas hole from the custom shop. 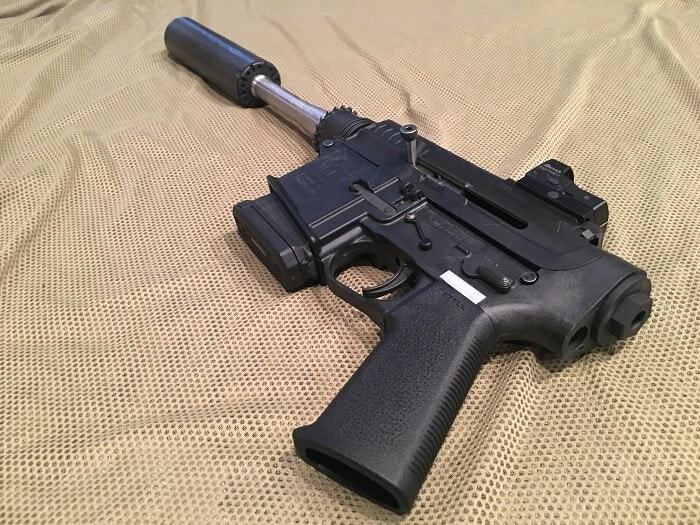 Carbine length or longer gas system, so the gas port is not in the way. I’m out of the loop. 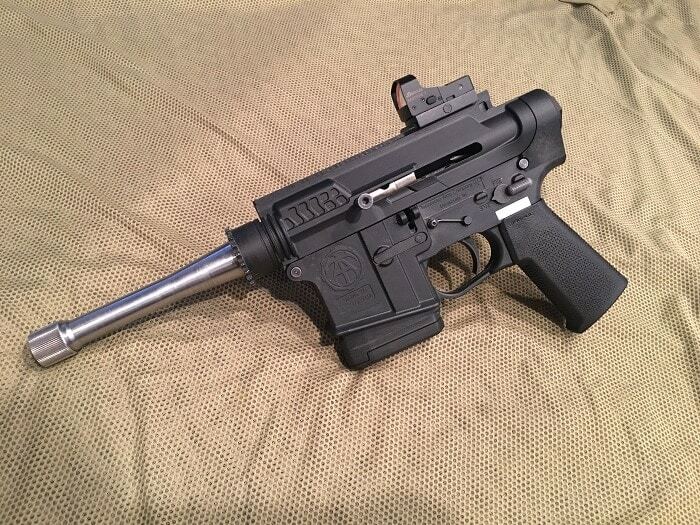 How does this .300 pistol operate? Originally Posted by Ben B. Maybe this is just the ticket. $95. Also available in Commie 30 if that's your thing. I kinda want to try this... on a regular lower with a buffer spring & full length BCG. It’d end up being a spring loaded bolt gun. Could use the super light carbon fiber PCC handguards. Either as an 8” pistol or a 16” rifle. Kinda surprised we haven’t seen @Yondering in this thread. I imagine his suppressed 357AR cartridge would be great in one of these.